For most people finding time to work out is the biggest road block to healthy living. But by changing your workout routine to circuit training, you can work on your fitness in a much shorter time and may even find you are getting the results you want quicker. 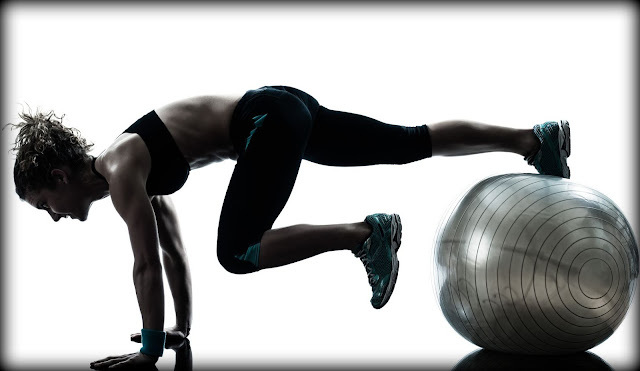 Circuit Training is where you do each exercise of your workout in a row without taking a break. You do one set of an exercise and then move on to the next one without taking time to recover. The exercise can be done in a complementary manner, where the exercises are opposite each other such as following a bench press with a standing row. Or the exercises can be done in a random pattern but making sure that all muscle groups and their counter muscle groups are being addressed. The advantage of circuit training is immense and not only due to the time savings. By continually working the body, the heart rate is kept up which aids in fat burning. In addition, circuit training also fatigues the muscle quicker making each exercise more intense and thus promoting more growth or toning. Circuit Training exercises come in all shapes in sizes and can include pretty much any exercise the person working out wants. Circuit basically means that you are just combining the exercises together to complete one “set” in your workout. Workouts are called circuits when they include more than two or three exercises. These other workout techniques are known as supersets. For circuit training, the participant chooses what exercises he wants to include in the circuit. When putting together a circuit it is important to remember to include exercises that balance out your workout. For example a good circuit may look like this: bench (pectorals), lat pulls (back), curls (biceps), tri pull downs (triceps), military press (shoulders) and standing row (upper back and obliques). Every other exercise in this circuit complements the one before it, working the opposite muscle group. This will help prevent injury to your joints and muscles due to uneven muscle growth. If you are not sure what kind of exercises you want to do or are new to the fitness center, the best way to start circuit training is by finding an all-in-one machine. Most fitness centers and gyms have these machines and they can be distinguished by their size and that they have several bars and stations usually attached to a central area that houses the weights. These machines help in circuit training because by doing every exercise on the machine, you are probably working every desired muscle group and its opposite. It can be a great way to get into circuit training without having to put much thought in it. Of course circuit training can also be done with free weights. If you are experienced with free weights or have researched what exercises you would like to do, free weights can be a great way to go. There are two ways to utilize free weights depending on your weight lifting goals. If muscle growth and size are the purposes behind your workout, then doing a circuit with different weights depending on your ability in each exercise is key. For example, you may lift 55 pound dumbbells for the bench and then curl 35 pound dumbbells. The other way to use free weights in a circuit is for toning. This can be done by choosing a weight that you can handle easily in any of your chosen exercises. With this circuit, the reps are increased. Even with little weight, you will see your muscles become more defined. If results are lacking, experiment with lifting more weight or increasing your reps even further. If the goal of your workout is to burn as much fat as possible, adding running or other cardio exercises to your circuit will help you achieve that goal. To accomplish this, simply add five to ten minute bursts of cardio after you do one or two exercises. Again, remember to move onto the next exercise quickly without resting. Examples of cardio exercises you can add to your workout would be stationary bike, running on a treadmill and even jumping rope. Exercises like stair climbers and ellipticals are also great for cardio but really work your legs. If you are doing leg workouts as part of your circuit, you may want to avoid adding those to your circuit rotation.